There’s a little plot twist in our traditional New Year’s Eve, this time. Normally the place to be would be Piazza San Marco, everybody would bring his own bottle of champagne and then we would party all together, watching fireworks on the bay of San Marco, listening to the music, and enjoying the collective kiss among all the couples. Unfortunately last year there were some problems with littering, excessive noise and other typical issues of a very big party. Although normally I always recommend to tourists to behave properly and act like they in their own city, I think that we should all close an eye for big festivities and events that involve traditions of our city. 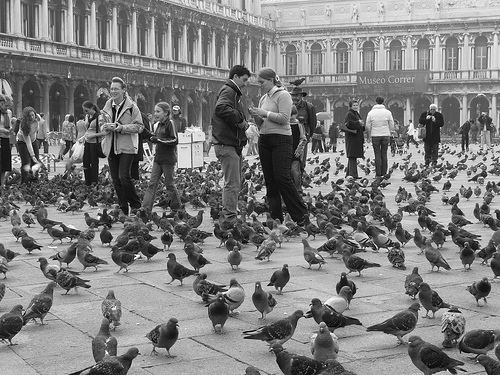 Nevertheless, this year there would be strict regulations on parties in Piazza San Marco. Therefore, the party will be moved elsewhere, specifically at Riva degli Schiavoni right after San Marco near the traghetto stop and Riva Sette Martiri, a little bit more further towards the gardens. There will still be five barges shooting fireworks like during Redentore and you will still be able to party with locals and friends. Bring your own drinks, it’s easier and cheaper. But please don’t litter and most importantly don’t throw them in the water. If you can, I suggest to put everything in plastic bottles. There will be special extra public transports connecting Venice to Mestre: buses in Piazzale Roma, trains (one at 1.20 to Mestre, then 1.50, 2.10, 2.30), but beware that they will be very very crowded. It’s forbidden to use your own fireworks, for safety reasons. If you’re looking for an extra twist to your New Year’s Eve, there will also be parties in most high-end hotels of the city (but it will be almost impossible to enter and also very expensive), or other parties in the clubs of Jesolo and Lido. Personally I suggest you to just stick to the squares of Venice, maybe move later on to Campo Santa Margherita where everybody will be drunk. I would avoid as much as possible public transports which will be very crowded, so moving to Lido and Jesolo could be complicated. That’s it my friends, Hope you will have a wonderful night. The whole Italian Buddy team wishes you a very happy and special 2015! Programmer, psychedelic Australian trumpeter, and amateur chef. I only want to help tourists in Venice and protect them from being screwed cause I put myself in their place. Grazie mille, Giorgio! 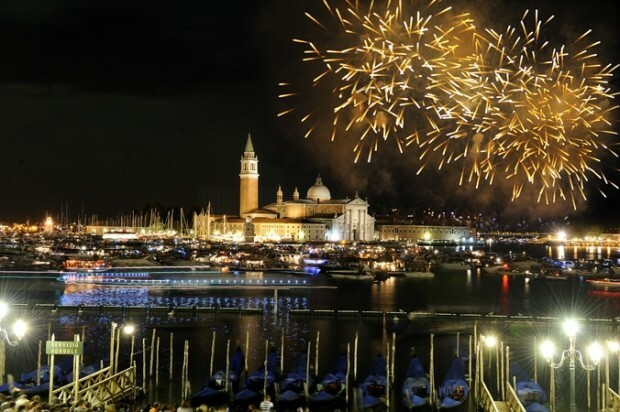 We will be in Venice for New Year’s Eve 2015, and we were thinking about watching fireworks from the Fondamente Salute at the tip of Dorsoduro…is that a good plan, or would you recommend somewhere else? We don’t need big crowds or rowdiness. Also, any advice on classical music tickets on New Year’s Day? All of the tickets for La Fenice have been bought by big agencies and cost a fortune!